I recently had a co-worker ask me about joining the Freemasons. He noticed the emblem on my car and of course my Masonic ring. I was excited. Our small lodge does not receive many petitions. I asked why he was interested in joining the fraternity and the answer he gave stopped the petition process cold. “I have been having a lot of medical issues, Jack” This guy is a huge Duck Dynasty fan and my children informed me that some character on the show calls everybody "Jack", so now this guy follows everything he says with "Jack". He continued, “I have heard that if you’re a Mason you can get help with your medical bills”. I replied “My name is Mike, and that is not a good reason to join. Yes there are some innate advantages to being a Mason, which comes with the work and time you put in, but Masons join to help others, not to help themselves." He was not happy about it but I told him I could not sign his petition to the lodge at that time, and that maybe he should learn more about the organization before deciding if Masonry was right for him. It turns out, Masonry was not right for him. Shortly after this he began to somewhat harass me about Freemasonry. He apparently did some “research” online and found out as much as he could about the secret rituals, handshakes, and other secrets of the fraternity. One afternoon he cornered me and said, “You Masons are nothing special, Jack. All of your “secret” rituals are on line, HAHA!” He caught me off guard but I stayed cool and said sarcastically “Yeah, that stuff is probably all true, I mean, it is on the internet.” and then I walked away. He did make me think though, "Is that true? Is all of our ritual really posted online?" I did my own research and was really surprised as to what I found. He was right, all of our secret rituals, handshakes, and passwords are out there and very easy to find. I did find a lot of fluff as well--goats, skulls, etc. Again I didn’t react or take the bait. I just smiled and said, “Doesn’t work for me, it seems that there must not be any Masons of the Department of Public Safety because I get a couple of tickets every year." But, out of his negative darkness I did find light. I had an afternoon free and used that time to contemplate his questions and remarks. First off, let me tell you how I feel about the fact that our “secrets” are easily found online. At first I was saddened and upset that some brothers, for whatever reason, decided to publish our rituals online. I thought of motivation. "Was this a brother that had been kicked out? Was it for financial gain? Why would someone go through the effort of passing through the degrees just to give it away?" But then, in a flash, I realized the truth, and was no longer sad or upset. The truth is that is does not matter. Sure it would be great if all of stuff we kept behind the tyled door remained there, but the actual physical acts of ritual are to me, not the important part of Masonry. What is important is the promise of being a Mason. When men become Masons they make a promise not to give the secrets of Masonry to anyone. Yes, the secrets are out there, given away by men who are far from Masonic, but the key is that no one will ever hear the secrets from me. It's similar to money. Physical money is worthless. It’s just a piece of fancy green paper. It has no value and is not backed by any physical commodity such as a shiny rock. The value of money is in the amount of a product someone is willing trade you for it. The rituals we do are the same. Yes they are intellectually valuable to Masons but without understanding them in the proper context they are worthless. To non-masons just knowing the ritual is akin to trying to pay your dues with pesos. No value, wrong context. But then why would any man want to become a Mason if everything Masons do can be found out for free and without going through the work of passing through the degrees? This is where the real value of being a Mason comes in. The real value is in the man that can keep a secret, not in what the secret actually is. A man that can keep his word about something that many find unimportant and even silly, tells me something. 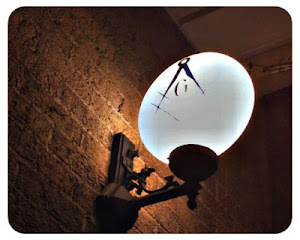 It says that my trust in him can extend much farther that the lodge room. If you cannot be trusted to keep even the most trivial secrets to yourself when asked to do so, especially after promising to do so, how can you be trusted with anything? I certainly would not go into business with or let that person borrow money. I would never tell them anything personal for fear that they would turn around and tell it to the man standing at his other shoulder. I cannot trade the secret of ritual for anything, it can be found for free, so holds no "intrinsic" value, but the trust earned by proving that you can keep a secret can be traded for the rest of your life, that does. That brings me to the statement about Masons looking out for Masons. Yes Jack, you are 100% correct. Masons do look out for other Masons. We do this because Masons come with the value of trust. No matter where they have travelled from, a true Mason has done the work to learn the secrets but more importantly the Mason has done the work to keep his secrets. This Masonic trust does sometime have advantages. Sometimes it can help you land a job, the trust can lead to business contacts and more business opportunities, and this trust can lead to lifelong relationships that always pay you back and I do not mean monetarily. And according to “Jack”, being a Mason can save you traffic ticket money and points on your licensee, but I have never had such luck. Membership has its privileges and that is a natural part of life. 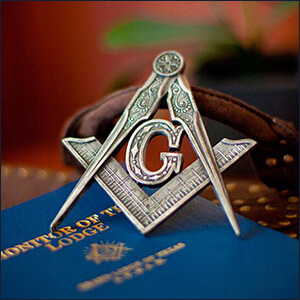 Just as gangs attract like-minded thugs and criminals to fill their ranks, Masons attract like-minded men to help fill their ranks as well, both in and out of the lodge. So I will continue to not take the bait from the profane when it comes to Masonic Privilege. Not only do I value my ability to keep the secrets I also value my time. And that is my two cents, Jack! Bro. Michael Kennelly is a new Master Mason being raised in Williams - Grand Canyon Lodge #38. He is also the father of three ages; 16, 14, and 10, he is a busy brother. 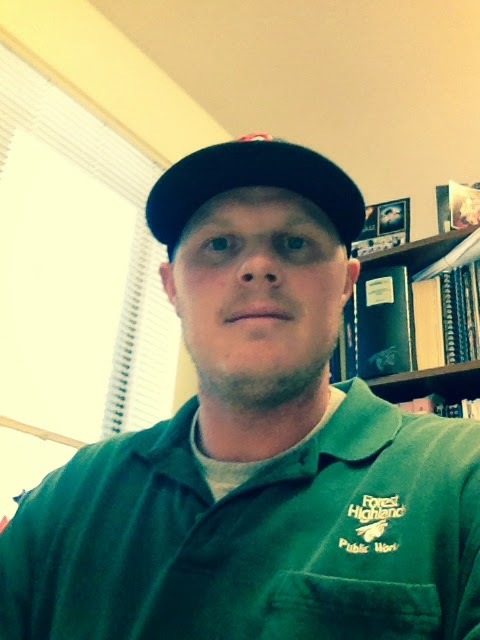 He is a utilities director for a private golf course in Flagstaff AZ. Bro. Kennelly lives by the motto "CDC" (consistency + discipline = CONFIDENCE). I'm not sure where I read it - but someone said that reading the secrets of a ritual is like reading the ingredients of a cake and itself is a far cry from baking and eating it. In Washington State, we close our lodge with a closing charge, by the Master. The portion that applies here, for your inquisitive friend says, "...These generous principles extend further for every human being is entitled to your kind offices. Do good unto all...." Need we say more? Well said Brother. Thank you for posting.